with the Keyser Gallery, Malmesbury. For a note on the artist, see lot 117. Please note that Hunstanton is in Norfolk and not Suffolk as stated in the catalogue. Southgate was born in Hunstanton in Suffolk and lived most of his life in East Anglia. His untimely death during the First World War was a great loss to British art. 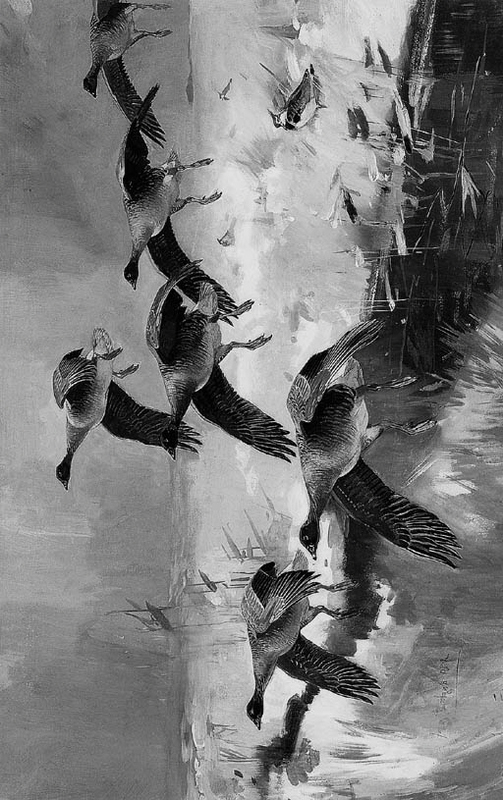 His special talent was in the depiction of flight and movement, particularly wildfowl. A member of the Royal Society of British Artists, Southgate illustrated a number of books on birds and on the Norfolk Broads.